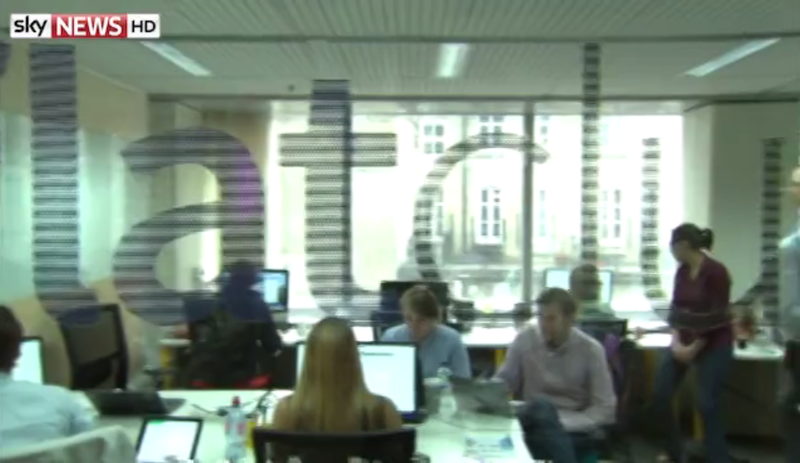 You may have seen some familiar faces on Sky News this week - the FlatClub team appeared, and more specifically our CEO Nitzan Yudan was interviewed about our growth as a company. It's worth it to take the time and reflect on how much we've grown every once in awhile, and this interview prompted one such occasion. 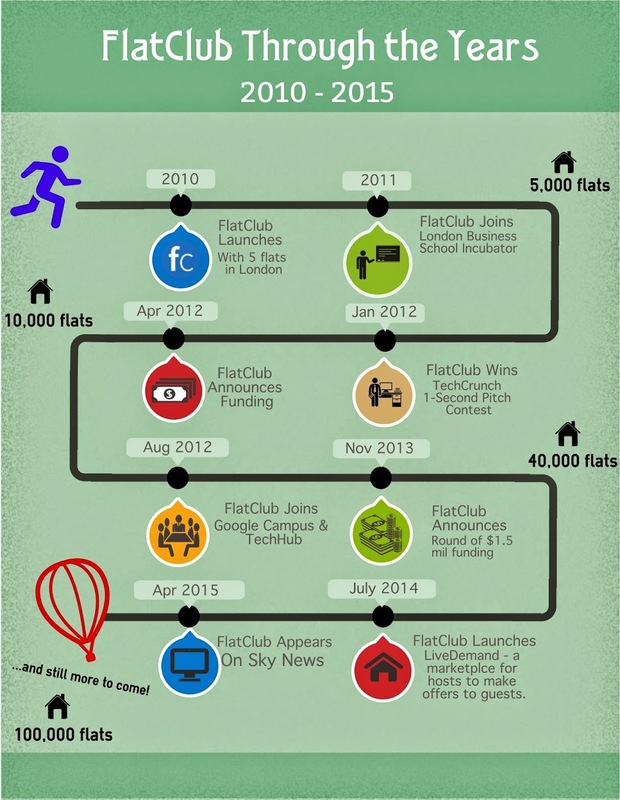 We've came so far since the days of working on the website in a living room, with 5 London flats in total. As Nitzan mentions in the interview, we're now 20 employees strong with around 100,000 flats on the site in cities across the world. Take a look at this infographic for a visual representation of our growth & activity bursts. We're not going to stop growing any time soon, so why not come with us on this upwards journey & join our team. If you're not looking for a job, perhaps you could consider becoming a host? Good news! 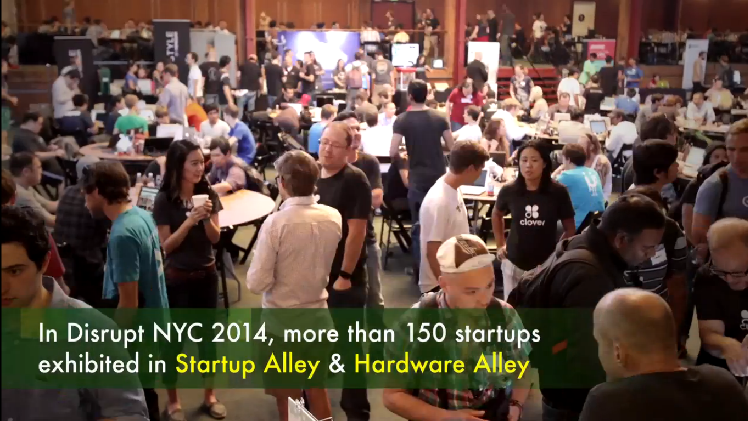 We are once again partnered with TechCrunch Disrupt & this time it is all happening in New York. If you'd like to earn a free ticket to Disrupt in NY, all you have to do is successfully host a Disrupt Battlefield Participant. If you've got a spare room, or even a spare couch that you're willing to rent out on a short-term basis for free, your generosity will be rewarded with a free ticket to Disrupt. 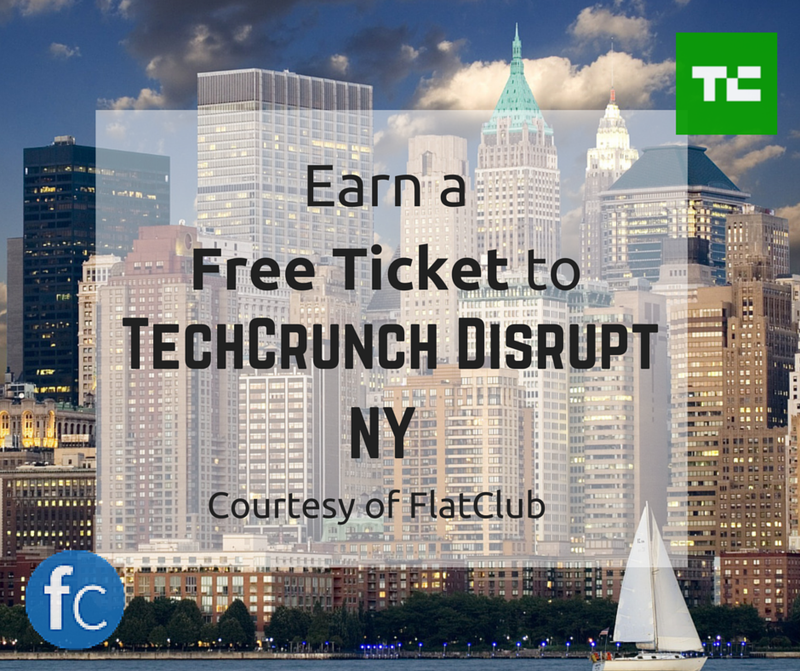 Earn a free ticket now - because Disrupt comes to New York May 4th. Be quick, and get ready for the tech event of the year. Expect to see speakers such as Marissa Mayer from Yahoo, Dennis Crowley from Foursquare, and Joanne Bradford from Pinterest - alongside nearly 100 more engaging speakers involved in the technology & startup scene. All you have to do to earn this free ticket worth $2995 is to allow one entrepreneur participating in the Startup Battlefield to stay at your place for the duration of the competition: from May 4th to May 6th. You'll both be out at the convention most of the time, with your guest competing & you enjoying the speakers & booths of dozens upon dozens of budding companies in Startup Alley. What amazing new products & services will you discover during Disrupt? 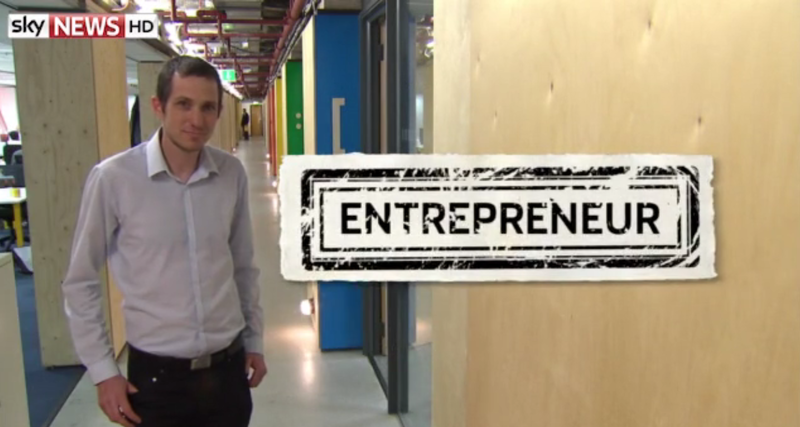 Will you be inspired to start your own business? 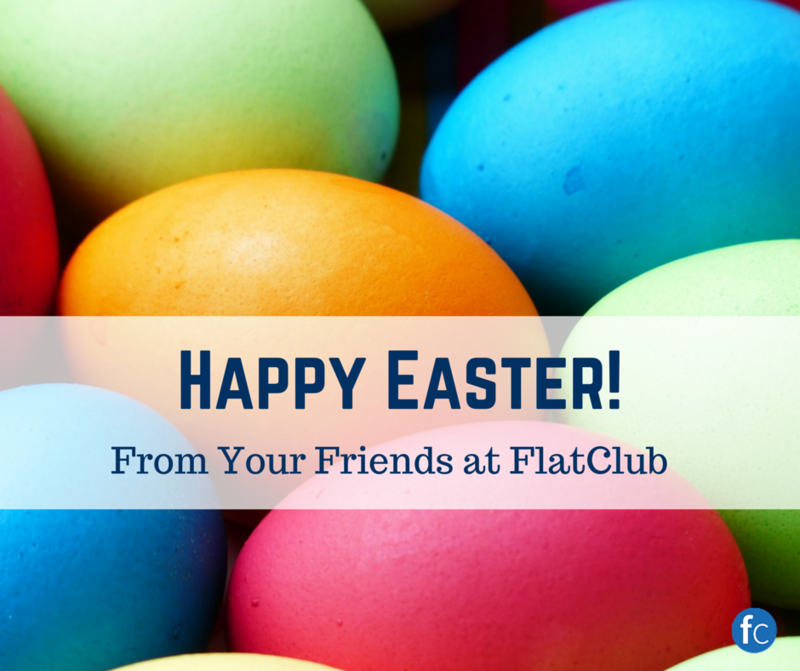 You won't know until you go - so earn your free ticket on FlatClub now. After receiving your suggestions and our own hands-on development & use of the dashboard, we’ve made some huge improvements. You can have an explore yourself of our new & improved experience, or keep reading & see an outline of what we’ve done. Payment Information - See information on payments you’ve made, and payments made to you. 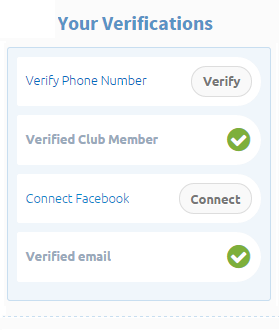 Verifications - See a simple list of your verifications & find out how to add more. Alerts - Take actions relevant to your account easily from your dashboard. 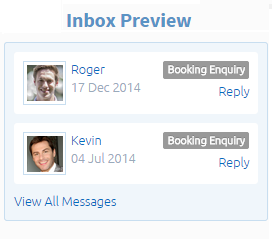 Inbox Preview - See previews of booking enquiries & booking requests. Invite Friends & Family - Invite others to join on FlatClub. LiveDemand - See relevant LiveDemand requests as a host. Reviews - See all reviews from & about yourself & your flat from the dashboard. Hosts can keep track of when they will be paid next by FlatClub. Guests may also take a look at upcoming payments you’ll make as a guest, and when they’re expected to be withdrawn. Everyone will have access to printable invoices & information on upcoming and past bookings. likely a guest will make a request for your flat. Try to complete them all for the best results. 1. Verify Your Phone Number - All you have to do to verify your phone number is accept a call, or even easier, respond to a text message sent from our system to your phone. 2. 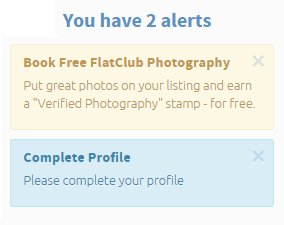 Verified Club Member - Find your club on FlatClub to become a verified member of that group - we have clubs for universities, professional organizations, and companies. If yours isn’t listed, please do request it. Once you’re a verified club member, you’ll receive better prices & see exclusive flats. 3. Connect Facebook - Connecting your Facebook to your FlatClub account is a great way to verify your identity for prospective hosts & guests. It’s easy to do - just click and allow FlatClub basic access to some of your general Facebook info, and you’ll become verified. 4. Verify Email - A verification email is sent to the address you used to sign up for FlatClub. Click the link inside that email & presto - you’ve been email verified. These are pretty self-explanatory, if there are any alerts on your account they require some action on your part to resolve. These are things that have to do with you getting paid, verifying your account, or responding to messages. It’s good to have all of your alerts resolved and have none pending. Take a quick look at the items pending in your inbox: these include booking enquiries and booking requests. There are different views for different items in your inbox: booking enquiries, and booking requests. There is a tagging system in place so that it’s easier to understand whether a booking enquiry has been answered, has been booked, and so on. Reply easily from the very same page. The loading time has also been improved. 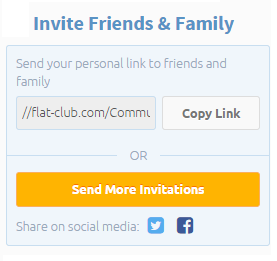 Send a link to your family & friends inviting them to join you on FlatClub. If you’re happy with our service, please tell your loved ones so they can also enjoy lower priced medium term stays. Depending on whether you’re a host or a guest who has made a LiveDemand request, you’ll see something different in this section of the dashboard. Hosts will see LiveDemand guest requests that match their rooms and flats, so that they can easily send through an offer to fulfill that request. Check your dashboard for guests who are searching for accommodation in your city. Guests will see their own LiveDemand request, and they can easily make adjustments on the fly from this page. Reviews about the host or the flat are on the same page as reviews by that person - all visible, and on a single page. We hope this will encourage both guests & hosts to leave reviews for one another. See for yourself now the big improvements we’ve made on the dashboard. Feel free to recommend new features to us in the comments, and send feedback via Twitter. We hope everyone has a lovely time with friends & family - and if you're staying with one of our London hosts over the long weekend, make sure you try at least one Cadbury Creme Egg, an English tradition around this time of year. Keen on Easter outings in London? No need to hunt them down like Easter eggs! We found some top events going on in the city that are sure to make you a happy bunny. Easter at the Roof Gardens - Great fun on tap at the Kensington Roof Gardens for kids & adults alike. The chocolate is being provided by whimsical London chocolatier Choccywoccydoodah, and kids searching for eggs have the chance to win a giant one to be enjoyed by the adults in the family, too. While the little ones search for eggs, adults are welcome to relax with a specialty cocktail in the beautiful roof gardens and watch the great hunt from afar. Fryhard - Looking for something a bit more fun, indulgent and...fried? Fryhard is a special fried food pop-up going on over Easter Weekend at Boxpark in Shoreditch. The innovative pair LondonMess & Miss Cakehead will be frying up Creme Eggs, cupcakes, and an entire Sunday Roast dinner. Plus, so much more. Totally worth checking out - free tickets, and prices for the food starts at just a £1! Selfridges Easter Egg Hunt - Kids will go crazy searching through Selfridges hallowed 4th floor for Easter eggs, and parents will happily eat any leftovers as they're provided by Charbonnel et Walker, the queen's preferred chocolate. Purchase a chocolate egg to take home with you - a huge variety can be found here. Regent Street Easter Cocktail Hunt - Not traveling with kids, or you just need a break? Head down to Regent Street for an Easter hunt that is most certainly for adults only. Bars along the famous shopping street are serving up special Easter cocktails, including many interpretations of Creme Eggs as boozy drinks. Go on and treat yourself - after all, it's a holiday. The London Dungeon "Death By Chocolate" - You didn't expect the London Dungeon to have anything less than a macabre Easter experience, right? This year, we recommend not eating the chocolate offered to you by Miss Edmonds, the Victorian proprietor of a poisonous sweet shop. Explore the rest of the London Dungeons and learn about some of the darker points in the cities history, all the while munching on free violet cremes that, we have been assured, are not poisonous. We hope whatever you do that you enjoy the long weekend. What goes on in your home city around Easter time?